Congratulations! 8th Grade Boys Won the CYO Division 2 Championship! What a Great Season! Holy Family Parish participates in the Summit County Area for the Diocese of Cleveland CYO programs for all sports. Each year, over 400 athletes participate in our programs. 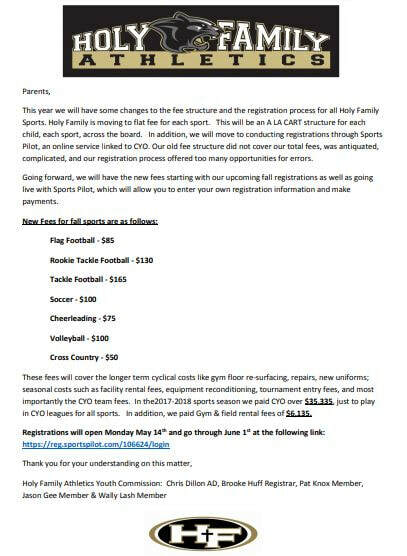 Our mission: Holy Family will provide a quality athletic program for the youth of Holy Family Parish with the primary emphasis on participation, respect, building positive self- esteem and teaching of Christian values.